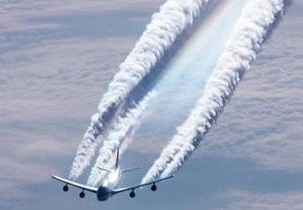 June 11, 2015 - The U.S. Environmental Protection Agency (EPA) is proposing to find under the Clean Air Act that greenhouse gas (GHG) emissions from commercial aircraft contribute to the pollution that causes climate change endangering the health and welfare of Americans. At the same time, the agency is releasing information about the international process already underway by the International Civil Aviation Organization (ICAO) for developing carbon dioxide (CO2) standards for aircraft and EPA’s participation in that process. EPA is now seeking public input to inform future steps by the agency. For the past five years, ICAO — a specialized body of the United Nations with 191 member states — has been working with the aviation industry and other stakeholders to develop coordinated, international CO2 emissions standards for aircraft. EPA and the Federal Aviation Administration, representing the United States, are participating in ICAO’s process to ensure that any standards achieve meaningful CO2 emissions reductions through policies that are equitable across national boundaries. The ICAO standards are expected to be adopted in early 2016. The items issued today by EPA lay the necessary foundation for the development and implementation of a domestic aircraft standard, in accordance with U.S. law and the ICAO process. U.S. aircraft emit roughly 11 percent of GHG emissions from the U.S. transportation sector and 29 percent of GHG emissions from all aircraft globally. In 2009, EPA determined that GHG pollution from cars and light trucks threatens Americans' health and welfare by leading to long-lasting changes in our climate that can have a range of negative effects. Since then, the body of science on human-induced climate change has strengthened, supporting today’s proposed finding, under a different section of the Clean Air Act, that GHGs emitted from aircraft engines contribute to pollution that causes climate change endangering public health and welfare. Today’s action supports the goals of the President’s Climate Action Plan to reduce emissions from large sources of carbon pollution. Today’s actions do not apply to small piston-engine planes (the type of plane often used for recreational purposes), or to military aircraft. Once this action is published in the Federal Register, it will be open for a 60-day public comment period. Any future domestic actions toward aircraft engine standards would also be open to public comment and review before they could take effect.